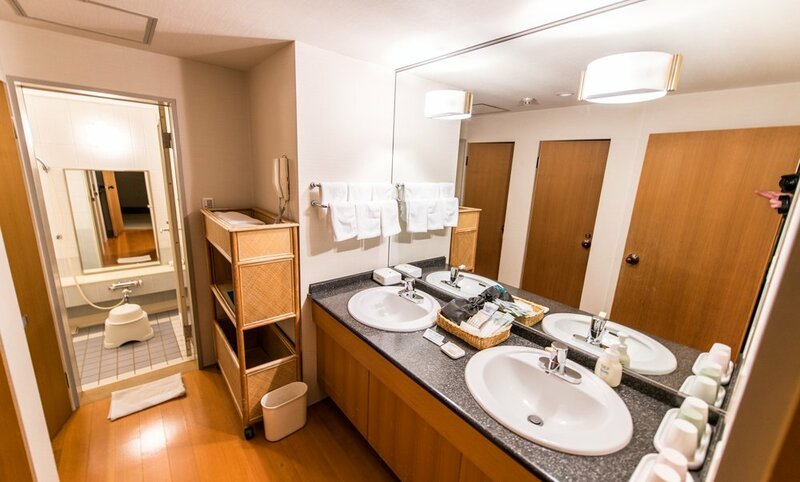 The large Japanese Room guest rooms are suited to larger families and groups with a total space of 74m². 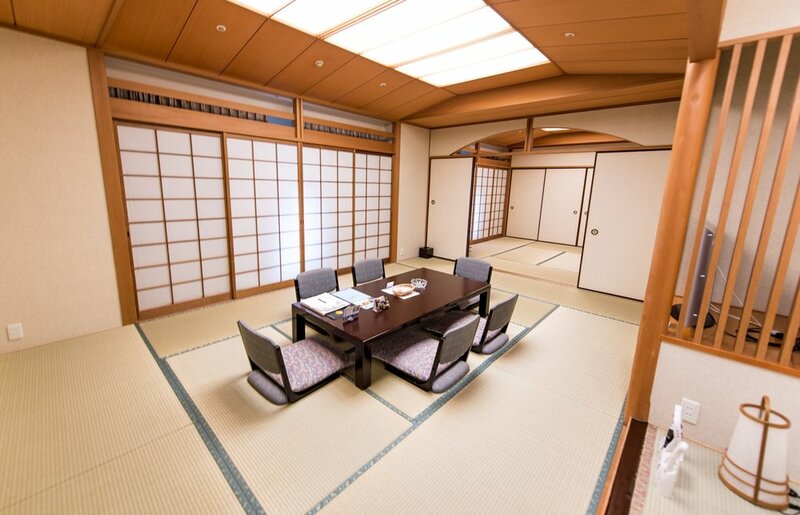 The room features a large 20 tatami mat area which can be separated into two rooms, and sleeps up to nine guests. There are two washing areas and Western style toilets. The futon bedding will be laid out on the tatami by housekeeping during the evening, unless otherwise requested.